On Tuesday, two senior al-Qaida leaders were arrested in Kilis Province, Turkey during a large-scale counterterrorism sweep by Turkish police. 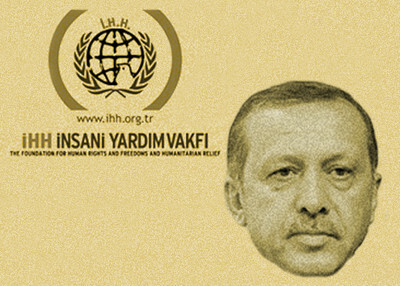 The arrests, conducted alongside a raid on the Van province offices of the Humanitarian Relief Foundation (known as IHH), took place less than six months after Turkey partnered with the United States to develop a specialized counter-terrorism program aimed at reducing Islamic radicalism in the Middle East. Hours after the arrests, the government summarily dismissed the two police chiefs who had overseen the operation, and reassigned several others. Moreover, according to Turkish daily Hurriyet, "bodyguards of the eight prosecutors who launched the anti-al Qaeda operations" were also replaced. Deputy Prime Minister Bülent Arınç particularly criticized the raid on IHH offices, denying any connection between the organization and al-Qaida. "The İHH is a legal organization, it is working for humanitarian goals," he said in a press statement. True, the IHH, an NGO founded in Turkey in 1992, positions itself as a humanitarian organization that brings food, medicines and other relief to Middle Eastern countries in strife, with a current focus on Syria. But that's not the whole story. Alleged to have taken part in the plot to bomb Los Angeles International Airport on New Year's Eve, 1999, the IHH has frequently been linked to Hamas and to al-Qaida. Turkish authorities even launched an investigation on that point just two years ago. Many also know IHH for its involvement in the 2010 Mavi Marmara incident in Gaza, about which the United Nations' "Gaza Flotilla Panel Report" stated, "The majority of the flotilla participants had no violent intentions, but there exist serious questions about the conduct, true nature and objectives of the flotilla organizers, particularly IHH." And last year, Germany banned the IHH on the basis of its terror ties. Given Turkey's apparent renewed commitment to fighting terrorism, you'd think the government would have praised the police forces who raided IHH offices, let alone those who had captured al-Qaida leaders on Turkish soil. So why didn't it? And if the Turkish government is committed to protecting groups like the IHH, despite its recognized connections to terrorists, why is the U.S. collaborating with it on anti-terrorist operations? Part of this can be explained by the recent rift in the Turkish government. Until just a few weeks ago, Prime Minister Recep Tayyip Erdogan's ruling Islamist AK Party worked in silent collaboration with Islamist cleric Fethullah Gulen, a Turkish Muslim leader who now lives in self-exile in the U.S. Gulen and his followers, called "Gulenists" or members of the Hizmet movement, were the covert agents behind Turkey's Ministries of Justice and the Interior – and consequently were the power behind the country's police force. But last month, when a series of police-led investigations led to the arrest of prominent business leaders and parliament members on charges of bribery, money laundering, and engaging in gold-for-oil trades with Iran, the partnership between Erdogan and Gulen became an all-out war. Erdogan blamed Gulen for instigating the investigations, falsifying charges, and leaking the whole mess to the public. Gulen has denied having anything to do with any of it. As the ongoing crisis continues to unravel, Erdogan has fired hundreds of senior police and judiciary officials. In addition, he has proposed new, controversial legislation to give the prime minister oversight of the judiciary – effectively destroying the separation of powers that in large measure defines a democratic state. Not surprisingly in all this, the IHH officials are quietly accusing the Gulenists of instigating the raid and maligning the IHH's good name. The general impression is that the subsequent firing of the police chiefs responsible for the raid was an effort to strike back at Gulen. But what does it say that Erdogan, regardless of his personal issues with the U.S.-based cleric, dismisses the officers who have captured leading members of al-Qaida? What is it Erdogan and his cronies don't want investigators to learn about the Humanitarian Relief Foundation members or activities? What, if anything, does this have to do with the recent discovery of a truck full of arms heading to Syria from the Turkish border – allegedly on behalf of the IHH? At a time when Turkey has sidestepped U.S. sanctions by shipping billions of dollars in gold to Iran in exchange for oil, and now hinders investigations into a known terrorist-related organization based on its own soil, it seems hardly the right country for America to be partnering with on counter-terrorism initiatives. To the contrary, it may be time for America to be looking a bit more closely at Turkey's leaders, and whom it may be calling "friend."